Magnum photographer Eugene Richards' first retrospective exhibit is being presented at George Eastman Museum from June 10 to October 22. Eugene Richards' 2010 "Peter’s Rock Church, Marianna, Arkansas." Eugene Richards' 2006 "Corinth, North Dakota." Eugene Richards' 1970 "Doll's Head, Hughes, Arkansas." Eugene Richards' 2008 "Dustin Hill with his daughter, Mineral, Illinois." Eugene Richards' 1979 "Final Treatment, Boston, Massachusetts." Eugene Richards' 1993 "Grandmother, Brooklyn, New York." Eugene Richards' 1975 "Iris, Dorchester, Massachusetts." Eugene Richards' 1992 "Mariella, Brooklyn, New York." Eugene Richards' 1970 "U.S. Marine, Hughes, Arkansas." 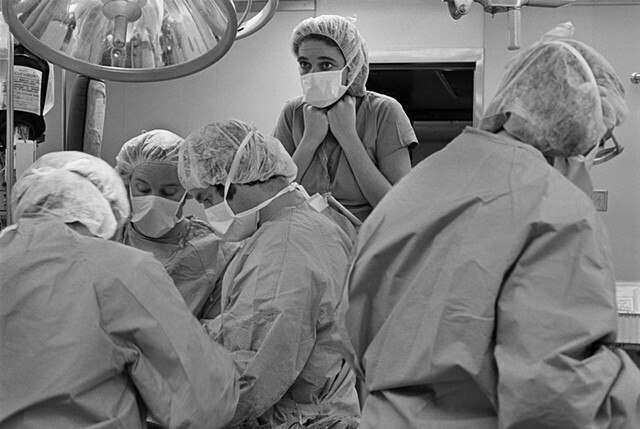 Eugene Richards' 1982 "Exhausted Nurse, Denver, Colorado." Eugene Richards' 2005 "The old ward, Psychiatric Hospital, Asunción, Paraguay." Eugene Richards' 2014 "PTSD, McHenry, Illinois." Eugene Richards' 1969 "Reverend and Mrs. Landers, Hughes, Arkansas." Eugene Richards' 2013 "Robert Frank, New York, New York." Eugene Richards' 2010 "Dorothy's ruby slippers, Lehi, Arkansas." 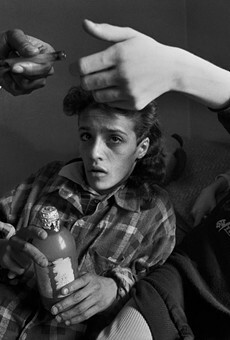 Eugene Richards' 1986 "Back from prison, Shantytown, New York City." Eugene Richards' 2001 "Snow globe of the city as it once was, New York, New York." Eugene Richards' 1986 "Still House Hollow, Tennessee." Eugene Richards' 2006 "Walum, North Dakota." Eugene Richards' 1975 "Wonder Bread, Dorchester, Massachusetts."